Skier Jim Carlson of Boise takes a break at Tamarack Resort in 2017, with the unfinished Tamarack Village Plaza in the distance. 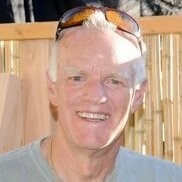 Photo: Joe Jaszewski for BoiseDev. Tamarack Resort in Donnelly, Idaho has a new owner, with a deal set to close by the end of this month. The new ownership group hopes to get back to developing the resort after several years of stasis, with final buildout of the long-stalled Village Plaza by 2019. Newly-formed company Tamarack Resort Holdings is backed by Imperium Companies, MMG Equity Partners and Blue River Family Office Partners under the Imperium Blue banner. Imperium Blue currently or formerly owns or operates commercial property at a number of well-known resorts, including Whistler Blackcomb in British Columbia, Mammoth in California and Copper in Colorado. 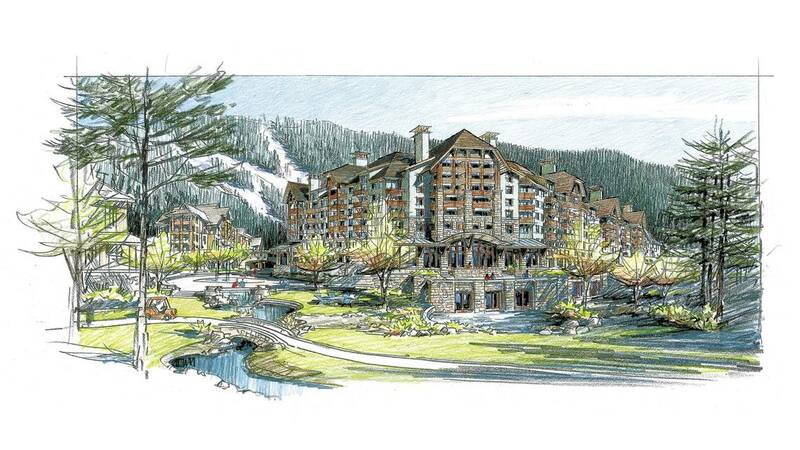 The group says it wants Tamarack for its potential as an all-season resort, more than just the real estate. “I think the experience we have as a team is really important,” Imperium Blue principal Kyle A. Mowitz told BoiseDev. “When you look back at experience of former owners, it was more of a real estate play for them. For us we are driven by operations. When you are driven by operations, you act differently, you do things differently. That’s where the success of the ski resort happens. TRH says it is “purchasing all key assets necessary to operate the resort now and accommodate future expansion plans.” That includes a raft of items, including mountain property, ski lifts, lodges, lakefront equipment, sewer and water bonds, parts of the golf course and the Village Plaza. It says it will close on the resort sale on November 30th. The already-planned ski season will still take place under Imperium Blue ownership. Opening date is targeted for December 14th or earlier as snow allows. TRH said it “is assessing all aspects of the resort to determine where investment is needed most to improve the guest experience” ahead of next month’s ski season. This story broke FIRST on BoiseDev after several months of poking around, and our email subscribers got it in their inbox. Join the list! 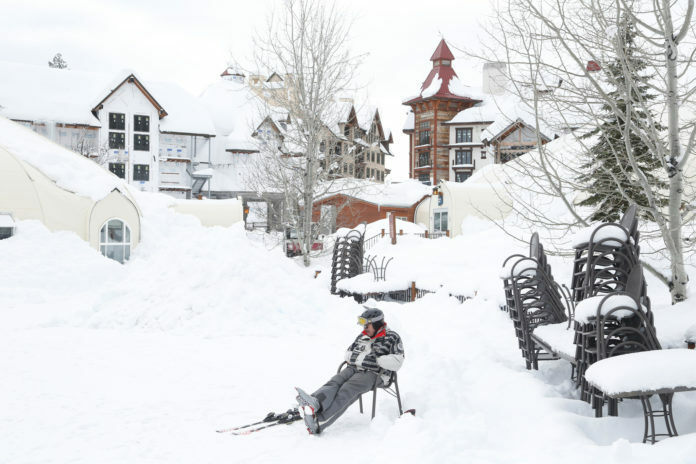 A spokesperson said a large portion of the assets are being bought from Tamarack Homeowners Acquisition Company, which sprung up to get the ski lifts running and keep the resort on life support. It bought portions of the resort from a bank-controlled entity in 2016. 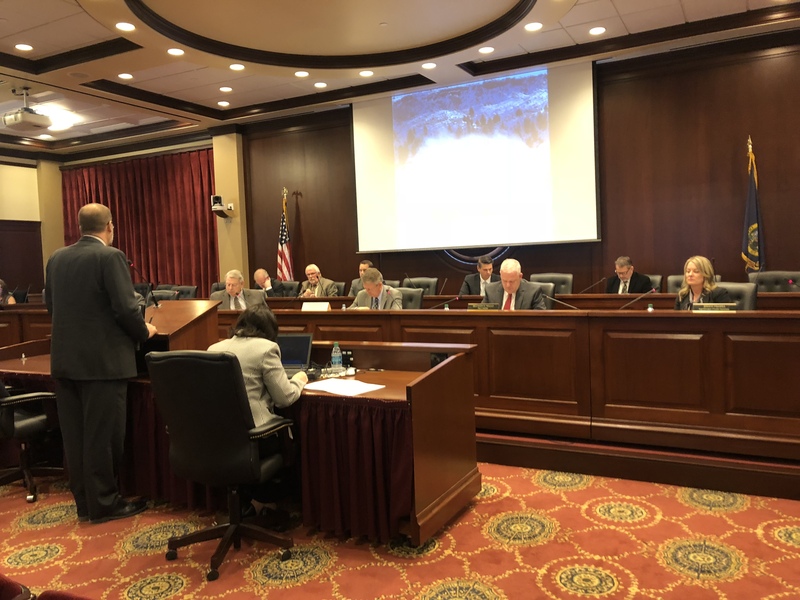 The Idaho Land Board voted unanimously Tuesday to approve the transfer of the state leases to THR. The new ownership group would take over the remaining eight years on the current lease, and options to renew. Complete the mid-mountain lodge by 2024, or remove it. Also by 2024, restore or remove the Wildwood ski lift which Bank of America seized and removed. Provide annual updates on the construction plans for the resort. 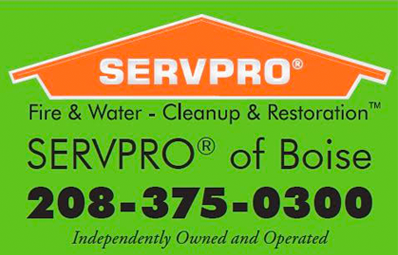 Various requirements around taxes, insurance and bonding. The current Tamarack staff will remain in place, including general manager Brad Larsen. The resort will be overseen by Jon Reveal, whose past credits include stints at Aspen Skiing Company, Yellowstone Club and others. An all-season resort on West Mountain in Valley County has been considered since the early 1980s, under names including Valbois and Westrock. After a first try failed without any development, the project that became Tamarack started construction in 2003. It hosted a president, attracted celebrities, sold out a condo sale – and then hit tough times during the 2008 financial crisis. The resort entered bankruptcy in 2008 and closed in 2009. In its wake, a large village plaza development still stands, unoccupied and unfinished a decade later. In 2010, a group of homeowners pulled together to restart ski operations and has been running the resort on a limited basis. Rendering of Belvedere Ridge, a 300-unit hotel/condo project once proposed for Tamarack by a development team that headed by tennis stars Andre Agassi and Steffi Graf. The project never came to fruition. Imperium is only acquiring three holes of the former golf course, which is no longer maintained. The other 15 holes, about 200 acres, are owned by Idaho Pacific Investments, LLC. Angstman said a number of options are on the table, including development of a private club, redevelopment of the course or a sale to Imperium Blue. 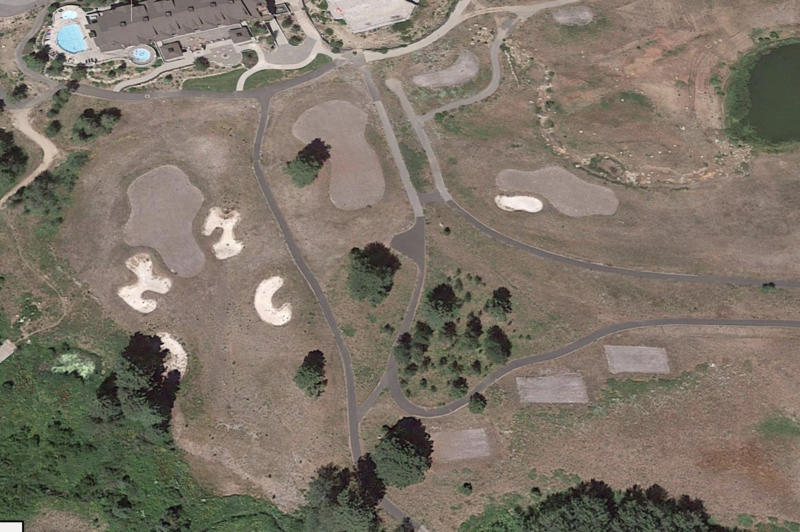 A Google Earth view of the Tamarack golf course shows its current state after regular maintenance was halted in 2016. BoiseDev chatted with Imperium Blue co-founder Kyle Mowitz and new Tamarack Resort president Jon Reveal about why the are tackling Tamarack, what people can expect, and what sold them on the resort. Don Day: Tell me what happened today, and what you’re hoping to do next. Kyle Mowitz: Today the Land Board approved the state lease assignment to our group which is a subsidiary of Imperial Blue called Tamarack Mountain Operations and it’s going to allow us to operate the state lease and the mountain operations up at Tamarack Resort. Don Day: What can people expect from a guest experience and from that kind of a development standpoint? Kyle Mowitz: “We are going to increase and enhance the guest experience. We are going to build out Village Plaza and we’re trying to start that somewhere around January to the March timeframe, depending on permits. We are going to move pretty quickly. Then in early summer you’ll see us install the Wildwood lift that was taken out by Bank of America previously to get some more of that advanced terrain and really open up the mountain. We’re also going to start working on the mid-mountain restaurant. You’ll start to see hot beds like condos and some limited hotel type of services start to go up in the Village and around it and really get places for people to stay. Not just for a day event, but for several days and weeks at a time, which they don’t really have to a degree right now. Don Day: When you hear people talk about ski resorts, you hear them say they have to go bankrupt two or three times before people make money. What makes your team go ‘you know, we can do this, we’re the ones that are going to propel this forward and be the ones that are successful’? Kyle Mowitz: I think the experience that we have as a team is really important. When you look back at perhaps the experience of former owners it was more of a real estate play for them for us we’re driven by operations. When you’re driven by operations you act differently. You do things differently. That’s what where the success of a ski resort happens and that’s where Jon (Reveal, new Tamarack president) comes in. We are buying the majority of all the real estate so that is part of the play. But we feel that’s secondary to the mountain operations. And also think basis is very important. There were very grand visions especially on the last go around for the resort. I think we have much more tempered visions: still a great experience an offering and that’s what we’ll focus on to the guests but more tempered expectations on how we’ll build that out. We’re going to be very prudent in the scale and the pace and how we’re building out the resort to really go with the demand versus get the supply and then the demand we’re going to have the demand and provide the supply. Don Day: How does this fit within your portfolio? Kyle Mowitz: We do own a lot of resort assets and particularly cold-weather like this we’re experienced in the ownership of that the operations of the actual hospitality, retail, and all the components that go into that. But I’d love for Jon to maybe give you a little background on operations. Don Day: What makes you want to come to Tamarack and tackle this challenge. 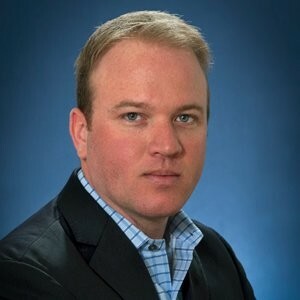 Jon Reveal: I enjoy very much being an operations guy and I enjoy the idea of making sure that the operation is what is going to drive the real estate rather than the other way around. If you go back to develop Sun Valley or Aspen or anywhere else, it is it was always real estate generating all of the money and then you would put up some lifts and hopefully there would be some money left over for the owners. Certainly, this is going to be a complete opposite track that the building is going to be much more precise in how much comes onto the market at any one particular time. Looking at the experience because we know very well that marketing only brings people once and operations brings them back again and again and again. Our idea is to get as much on the mountain that we can to please the people that are going to be coming up there. We really look at this to begin with as a pure Idaho play. We want to provide outdoor recreation for Idaho us so that we’ve got something they are going to be telling their friends about. Don Day: Where do you where do you folks see this in the landscape then? We have Sun Valley which doesn’t focus on Idaho primarily but then you have things like Brundge and Bogus Basin which are more hometown mountains. Do you see this on the scale of those, or Vale or Aspen or is it more in between? Jon Reveal: The first thing that we what we want to do is we want to be the best that we can possibly be. We want to be the best that’s closest to Boise so that people have another choice along the way they are going to be purely at Brundge or just here close to town. I think that we can we can provide something that will probably grow into something bigger and better, but trying to set your eyes on a target like trying to mirror Sun Valley, you’re not going to do it. Don Day: I’ve heard from some nervous homeowners; people who are like ‘we’ve been down this road before.’ What do you tell the homeowners or people who have interest up there about what you hope to do and what that would mean for them? Kyle Mowitz: I think what’s important to note is we’ve been at this for 24 months and really active for 18 months and not many people really know (about it). I think that is providing some of the consternation. But it was purposeful because there’s been so many attempts and people try to make press releases to get momentum and raise money. For us it’s not about that. And as you’ve noticed we don’t reach out to the press we’re not very public people. That’s very purposeful because we’re executors. We’re not dreamers, we’re not going out there raising money. We don’t raise money. For us this is an internal deal which I think is really important. It’s our money. We don’t raise we don’t manage. We’re not a fund and that’s a really interesting thing I think for the homeowners is that this is our money at stake and that should give them a lot of comfort because we’re going to protect that money, and we’re going to act accordingly. You know for that money and I don’t want to just make it about monetary because it’s not but certainly that part aligns all of our interest, because raising the value of the resort is going to raise the homeowner’s values and we’re going to do the right things to do that. I think what’s different is, this is a very complex deal and why it took us so long to put together as one. When we looked at the deal everybody (in the past) tried to go and buy the real estate. And put very little effort into what we’re doing here, like getting the lease. Maybe that would come along (for others) but there was very little effort into that. In addition, there’s been a lot of bond delinquencies up there for the sewer bonds of water bonds. We now control all of the bonds. “We’ll literally control just about everything. We think that control is really important for the homeowners to know because if you didn’t buy the bonds someone could come in and buy those and make a play and foreclose and all of this. By owning the infrastructure, the real estate and the operations – that’s a very very important thing and that’s what we’ve done. Don Day: What attracted you to this project and what does it mean to you to be involved with this? Kyle Mowitz: We found out about this project you always had heard things about Tamarack and rumors and so it was interesting when it came across our desk because it was one of those you kind of look at and go “ehh, I don’t know if I want to do anything with that.’ What sold me is when I came out. We said ‘hey, what the hell, let’s take a look.’ We came out, and you get to the place and it is pretty magical. The setting, the nature did what it was supposed to do and the nature is doing most of the work for us. We’re just enhancing experiences in nature, so we really fell in love with that part of it. We are turnaround guys so we really focus on taking something that’s broken or needs enhancement, and that’s our game as investors. That was very attractive to us just coincidentally my father used to work for Joe Albertson so I had a lot of ties to Idaho, so I thought that was really cool that’s just a personal side note. My father ran a lot of the real estate for Albertsons for many years and so Idaho holds kind of a special place for me. And so that’s again not why we invest but it certainly was nice to come back to Idaho. But from a business standpoint it just really matched everything we’re doing right now in the cold weather space and how our investing into bankrupt projects and turnarounds and that all just sort of fit this and really came together when we came and saw it. We all said, ‘wow this place is special.’ So that was important for us. Jon Reveal: There’s an extremely good mountain associated with this. I think the mountain is something that we can enhance and make better. But I think our real opportunities are during the summertime and I think if you go to most of the mountain resorts now is that they are looking at summer as a much bigger generator. If you take a look just locally, Bogus said I think they made over a million dollars this summer on just their (mountain coaster). There’s an opportunity because all the infrastructure is there. You don’t have to go someplace and put up something for the summer with all of the infrastructure like the lodging and sewer and the water and all the rest of that stuff. So I think that’s going to be really the big part of what we what we’re doing next is the summertime and building up the summertime. Don Day: Anything else I should know here? Kyle Mowitz: I think you know two things that was really interesting to us that when you go up there, we’ve had limited conversations with a lot of homeowners because we’re involved in buying it from them. What you don’t see everywhere is the buy-in from the homeowners. The homeowners are very strong. What they’ve done with you know through this 10 years what they’ve gone through and all of that that is a big deal for us because having that buy-in from the homeowners is a big deal. And you can just feel it and see it up there. And to add one thing to what Jon said about the summer, the first time I went up there was the summer and someone asked me if I want to go waterskiing on the lake. I said, ‘no, I don’t like cold water,’. Jon Reveal: He’s a Florida guy! 1988: Valbois Resort first announced on West Mountain in Valley County. It is to have seven chairlifts, a 250-slip marina, an 18-hole golf course and more. Buildout would cost $61.6 million, according to the Associated Press at the time. The project eventually went bankrupt. 1998: Mexican businessman Alfredo Miguel Afif purchases the Valbois assets and renames the project Westrock. It is now proposed to have 20 chairlifts, 3,460 housing units and a mountaintop village, according to the Wall Street Journal. The project is now estimated to cost $563 million. 2004: The ski resort officially opens at Christmas. Seven chairlifts are in operation, plus a hotel and other amenities. 2005: President George W. Bush visits during the summer at the invitation of Secretary of the Interior and former Idaho Governor Dirk Kempthorne. A trail system is later named in his honor. 2006: The Osprey Meadows golf course opens. The Robert Trent Jones II-designed course opened and closed several times over the next decade. 2006: Tennis stars Andre Agassi and Steffi Graf announce plans to develop a Fairmont hotel at the resort, with construction to being in 2007. 2007: The resort’s condo offering sells out in one day, generating $140 million. 2008: Bankruptcy is filed on February 20th. 2009: On March 4th, Tamarack closes down. 2009: The Agassi/Graf-backed hotel project is canceled. 2010: The Tamarack Municipal Association begins operating the resort on a limited basis. 2012: Bank of America removes one of the resort’s chairlifts. 2016: The Tamarack Municipal Association acquires much of the land for the resort and the lease with the State of Idaho. 2016: The golf course is allowed to go back to nature. 2018: Deal is reached by Imperium Blue to purchase assets of the resort.